In this review we feature the best surround sound receivers that provide superb audio quality for your home theater setup. These surround sound receivers work for 5.1 or 7.1 configurations and even support 4K high quality music pass through with HDCP 2.2. Our experts have tested these surround sound receivers to determine which ones provide the best value for money and audiophile performance. They are also a great investment to have for your home theater setup, as they can drastically improve the overall sound quality for your speakers. If you are looking for surround sound receivers for your home theater setup, be sure to check out our top picks below! The Onkyo TX-RZ820 is one of the best surround sound receivers we have tested and tops this list for its versatility, sound performance and THX-certified sound. This receiver is THX-certified with 130 W/ch at 8 ohms with a frequency response of 20 Hz to 20 kHz. It comes with THX certified components which provide cinema-like quality sound. The TX-RZ820 also reproduces 5.2.2 channel Dolby Atmos or DTS X formats with AccuReflex correcting the phase of direct and indirect sounds for cohesive audio imaging. This optimizes the sound performance for 3D audio playback and provides lifelike surround sound for a superb home theater experience. The Onkyo TX-RZ820 comes with 6 rear HDMI inputs supporting Dolby Vision, HDR10, and 4K/60p pass-through with HDCP 2.2. The front HDMI input supports 4K/60p video at 4:2:0 resolution. This surround sound receiver has dynamic audio amplification from 5 Hz to 100 kHz and VLSC on all channels, and is ready for Chromecast built-in and DTS Play. 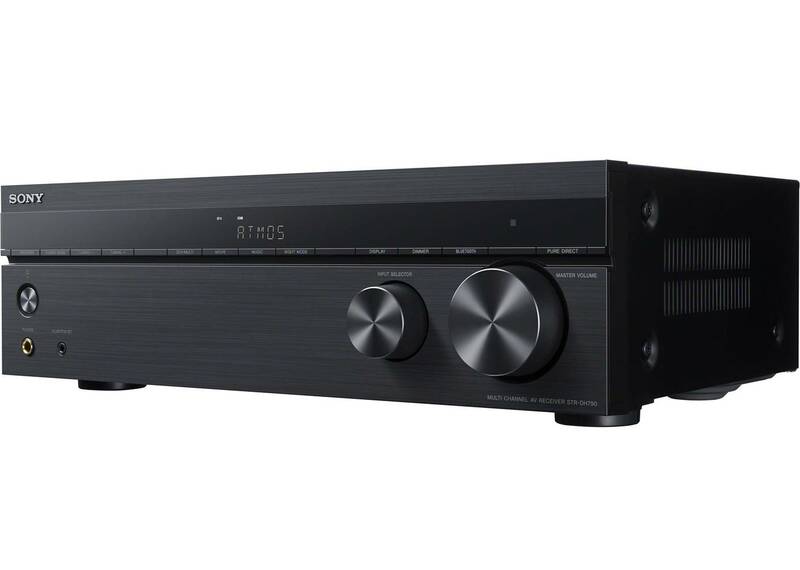 We liked the fact that this receiver also supports 5.2.2-channel Dolby Atmos and DTS X playback as well as Dolby surround and DTS neutral for realistic sound performance. The unique feature of the Onkyo receiver is that it supports noiseless audio processing which virtually removes digital pulse noise for a smooth analog signal. The data is converted between sampling points and these points are joined with analog vectors in real time to produce a smooth output wave form. This means that music performances sound very detailed and vibrant without any distortion at high volume levels, and the receiver provides high-quality sound without any static interference. 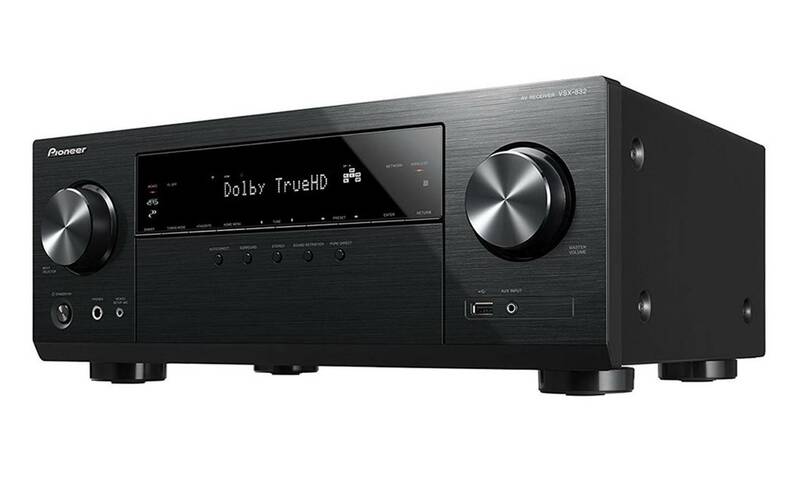 If you are looking to invest in a full-range 7.2 surround sound system, we highly recommend the Onkyo TX-RZ820 surround sound receiver for your home theater setup. The Pioneer VSX-532 is one of the best surround sound receivers we have tested that delivers great value for money. This receiver supports Ultra-HD pass-through with HDCP 2.2 (4k/60p/4:4:4) including HDR 10 for high dynamic range single pass-through support. The VSX-532 provides 5.1 channel support with Dolby True HD and DTS-HD Master Audio surround sound for high-definition entertainment. We liked the fact that the VSX-532 supports 4K/60p pass-through which provides great sound performance. This surround sound receiver also supports HDCP 2.2 and allows you to enjoy 4K videos with digital copy protection. The receiver also features Pioneer’s Phase Control technology which effectively eliminates phase lag and reproduces clear mids and highs with deep bass response. This allows you to hear the bass and dialogues in movies with clarity and accuracy. The Pioneer VSX-532 allows you to drive your speakers with 150 W/ch at 6 ohms or 80 W/Ch at 8 ohms with 0.0% THD. It also features MCACC auto-room tuning and synchronized sound with phase control for optimal acoustic sound reproduction and accuracy. Overall, the Pioneer VSX-532 is a high-performance A/V receiver for 5.1 channel movie setups and we highly recommend them. 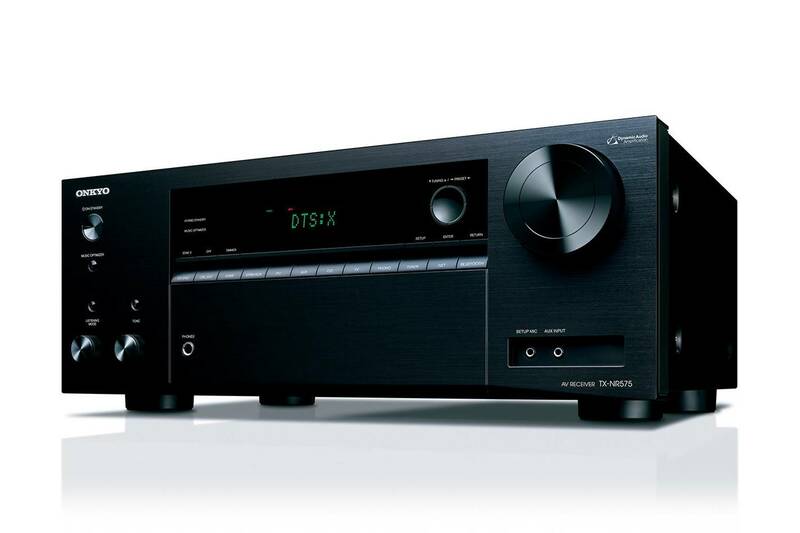 The Onkyo TX-NR575 is a surround sound receiver that delivers superb quality performance with dynamic power amplification at 170 W/Ch (6 ohms, 1 kHz) and 80 W/Ch (8 ohms, 20 Hz to 20 kHz). The TX-NR575 amplifies accurate, noise-free signal processing with high-current power for dynamic speaker control. We were impressed by the rich, pure and authentic sound quality from the TX-NR575 speaker and movie performances sounded detailed and realistic. The Onkyo TX-NR575 supports 4K HDR and BT.2020 video pass-through. It can connect up to six media players to the receiver’s HDCP 2.2-complaint HDMI inputs. The terminals support pass-through of 40K/60 Hz video, 4K HDR in HDR10 or Dolby Vision formats, as well as BT.2020 4K video standard. We also liked the fact that this receiver comes with Chromecast built-in, which allows you to stream any music from your smartphone, laptop or PC to the TX-NR575 with ease. You can control Chromecast enabled apps directly from your smartphone to the receiver. We liked the fact that the TX-NR575 supports multi-room audio with Powered Zone 2 speaker outputs and Zone 2 line outputs with a dedicated DAC supporting network and analog audio playback, which provides more speaker connection options. This receiver also comes with a premium-quality AK4458 digital-to-analog converter which implements low-distortion filtering for crystal clear sound, and is great for lossless and hi-resolution audio performance. The Sony STRDH550 is one of the best surround sound receivers for 5.2 home theater setups that supports 4K high-definition pass-through. It is essentially a 5.2 channel, 725 watt receiver that handles all of your home theater components with 4 HD inputs and 4K resolution pass-through. The receiver provides multi-layered sound performance for music and movies with HD digital cinema sound and auto-calibration for easy setup. The Sony STRDH550 is designed to produce immersive and HD digital cinematic sound with real life sound effects. Watching movies with this surround sound receiver felt as though we were sitting in a real life cinema, with sound effects coming from all directions and deep bass response. This receiver has HDMI pass-through functionality which allows you to connect all HDMI devices, including native 4K video content, Blu-ray and Blu-ray 3D movies. The receiver also has proprietary high-definition measurement and DSP sound technology for enhanced sound experience. The STR-DH550 delivers multi-channel sound performance (145 W x 7 at 6 ohms, 1 kHz) and supports high-resolution file playback using the front-mounted USB connector. This receiver also features four HDMI inputs and allows you to easily connect a smartphone to enjoy music on the go. We liked the digital cinema auto calibration functionality which allows you to optimize your home theater performance through this receiver. You simply need to plug in the supplied calibration microphone and follow the on-screen prompts using the remote to get started. On the whole, the Sony STRDH550 is a very good surround sound receiver for full 5.2 setups and we highly recommend them. The Denon AVR-S540BT is one of the best surround sound receivers supporting 4K ultra-HD pass-through TV. This surround sound receiver delivers exceptional brightness, contrast and color with HDR (high dynamic range) and BT.2020. It is a discrete 5-channel amplifier that delivers a maximum of 140 watts per channel and equipped with low impedance drivers capable for operational stability within a wide range of speakers. We particularly liked the fact that this Denon receiver supports advanced HDMI video section with all five HDMI inputs supporting 4:4:4 pure color sub-sampling and HDR. The receiver is Dolby Vision compatible with HLG (hybrid-log gamma) full 4K ultra-HD with 60 Hz pass-through and HDCP 2.2 processing on three HDMI ports. This receiver also comes with built-in Bluetooth which allows you to stream music directly from your smartphone devices. The receiver can remember up to 8 paired Bluetooth devices and stream music without any lag or dips in sound quality. The Denon AVR-S540BT front panel also features four quick select buttons that store your preferred audio settings for each source. You can switch between TV audio, Blu-ray, media players and different devices. This surround sound receiver automatically adjusts the EQ settings to your preferences using the buttons on the panel. Apart from the analog and digital AV connectors, the AVR-S540BT features a USB port on the front panel for convenient audio-playback. It supports a wide range of portable USB devices and file formats including mp3, WMA, FLAC and MP4. The AVR-S540BT receiver comes with a quick start guide with simple instructions for you to get started with the setup for your home theater. 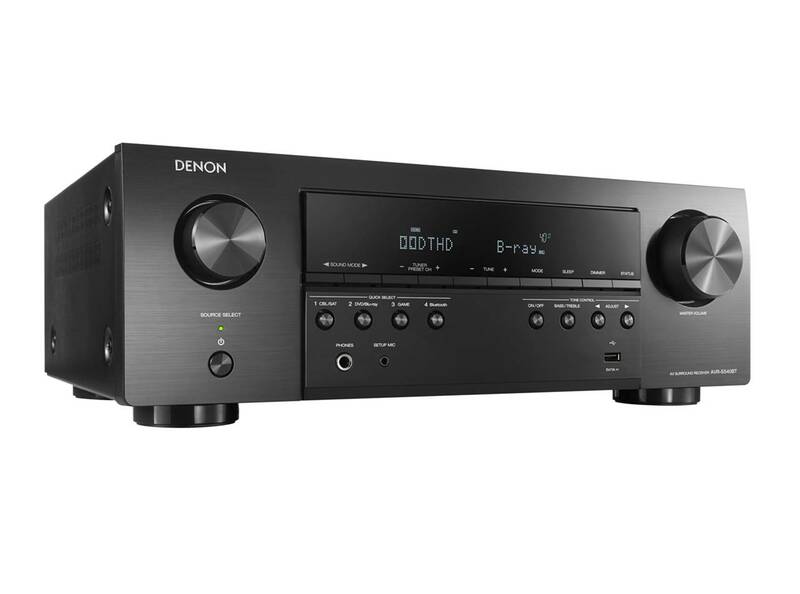 If you are looking for a superb 5.2 channel receiver with 4K ultra-HD, we highly recommend the Denon surround sound receiver. The Sony STR-DH720 is one of the best surround sound receivers for full 7.2 home theater setup. It is essentially a 7.2 channel receiver with 145 watts per channel (6 ohms, 1k Hz, 1ch THD 0.9%). 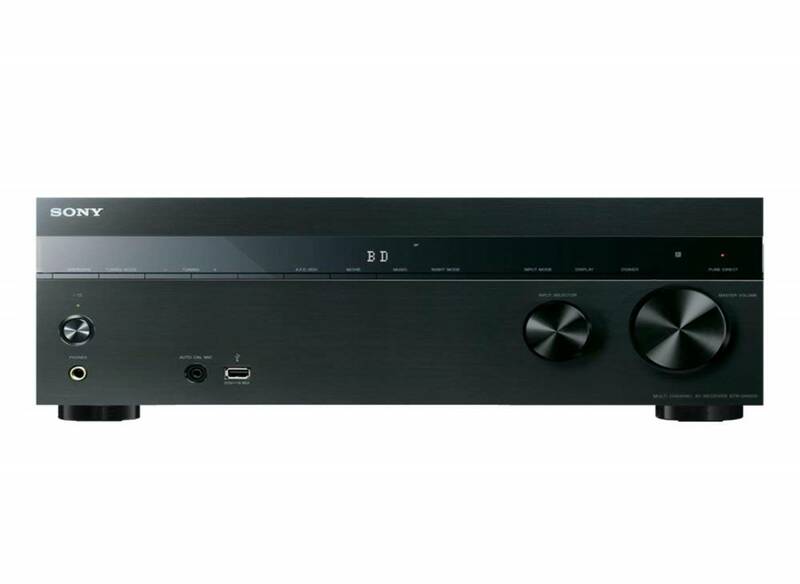 The receiver supports Dolby Atmos and DTS X object-based surround sound with 4K HDR Dolby Vision compatibility with HDCP 2.2 support. The Sony receiver also has HDMI 4-in-1 out with enhanced audio return channel. Watching movies with this Sony surround sound receiver was an immensely enjoyable experience. Movie sound effects were reproduced with distinct accuracy, and you can hear vibrant sound effects throughout the entire room. The movie dialogues were crisp and nicely reproduced, while the bass effects sounded tight and punchy. This is a receiver that really brings your movies to real life with cinematic sound performance and a full 7.2 calibration. The Sony STR-HD720 surround sound receiver comes with built-in Bluetooth that allows you to stream music from other Bluetooth devices easily. It also has advanced auto-calibration technology which optimizes the sound performance according to your room size. This receiver features S-Force Pro front surround sound that makes movies sound more lifelike. The entire system comes with the surround sound receiver unit, remote control, AAA batteries for the remote, FM wire antenna and start up guide for easy reference. 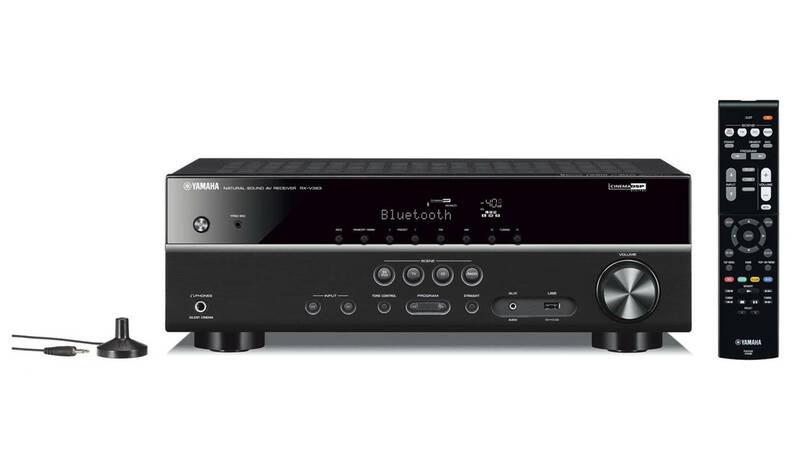 The Yamaha RX-V383BL is one of the best surround sound receivers you can find on a budget. It is a 5.1 channel surround sound receiver with a dynamic power of 110 watts (8 ohms) and 180 watts (2 ohms). 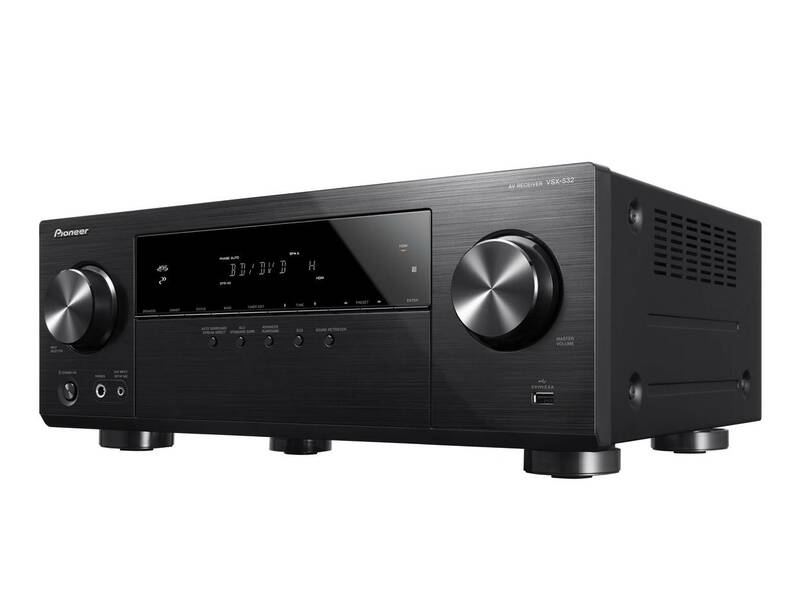 This receiver comes with built-in Bluetooth for wireless music playback, stunning 4K ultra-HD video with HDCP 2.2, and high dynamic range (HDR) with BT.2020 compatibility. We liked the fact that this receiver supports 4K ultra-HD pass-through with HDCP 2.2 support, and HDR video including Dolby Vision and Hybrid Log-gamma. The wireless Bluetooth connectivity works like a charm and we were able to pair multiple devices to this receiver to stream music wirelessly. It supports compressed music enhancer technology from Yamaha that optimizes Bluetooth audio transmissions to ensure that you can hear all the devices in the music. You can also stream music from the RX-B383 to Bluetooth headphones for private listening. The RX-B383 receiver supports YPAO sound optimization which analyses the room acoustics and adjusts various audio parameters for optimum sound performance. It also features Yamaha Cinema DSP technology which supports HD audio playback – the cinema DSP transforms the dynamics of the listening environment. The Yamaha low-range enhancement technology delivers rich bass while maintaining good localization and sound balance. You can also connect a subwoofer to the receiver to enhance the lower end bass performance for movies and videos. The Pioneer VSX-832 are some of the best surround sound receivers designed for Dolby Atmos cinematic performance. The VSX-832 receiver is a 5.1 channel receiver with immersive DTS:X and Dolby Atmos 3.1.2 and 2.1.2 speaker capability. It can reproduce 360 degree surround sound without the rear and surround speakers and provide a vibrant movie experience. The VSX-832 supports pass-through for HDR10 and Dolby Vision – it supports ultra-HD pass through with HDCP 2.2 (4K/60p/4:4:4) including HDR 10, BT.2020 and Dolby Vision. All the HDMI terminals support 4K pass through for high quality music performance. You can also drive your speakers with 165 W/Ch (6 ohms) or 80 W/Ch (8 ohms, 20 Hz to 20 kHz). 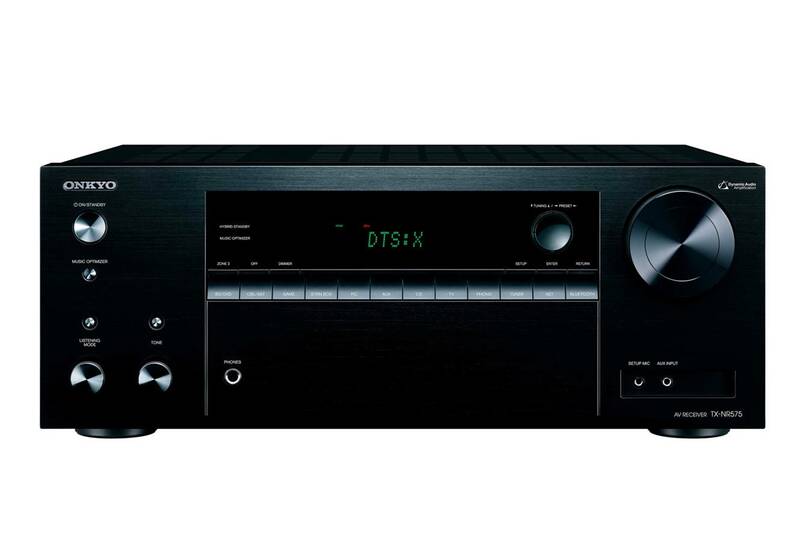 This receiver supports DTS:X audio codec which provides an immersive audio experience and automatically adapt the audio to existing channels and the speaker system for lifelike audio. We liked the fact that the Pioneer VSX-832 receiver has Chromecast built-in, with DTS Play-Fi and Fire Connect which offers multi-room wireless audio options and streaming from Pandora, Tidal, Tune IN and Deezer. The receiver also has MCACC audo-room tuning which optimizes the sound quality according to your room sound imaging for 3D spatial effects. 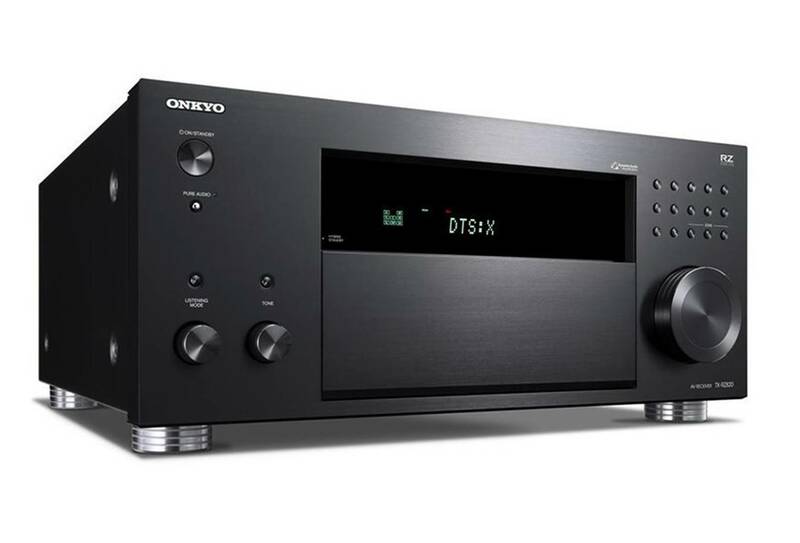 The Onkyo TX-NR575 is one of the best surround sound receiver with versatile input functions and supports 170 watts/ch (6 ohms) and 80 watts/ch (8 ohms, 20 Hz to 20 kHz) with dynamic audio amplification. The TX-NR575 supports 5.2.2-channel Dolby Atmos and DTS:X playback or traditional 7.2 channel surround sound. This surround sound receiver amplifies accurate, noise-free signal processing with high-current power for dynamic speaker control. This makes movies and music sound effects sound more refined and lifelike for a dynamic home theater experience. The receiver supports HDMI 6 in 1 supporting 4K/60 Hz, HDR10, Dolby Vision and HDCP 2.2 pass-through for versatile performance. We also liked the fact that the receiver comes with an AK4458 converter which implements low-distortion filtering for crystal clear sound performance. 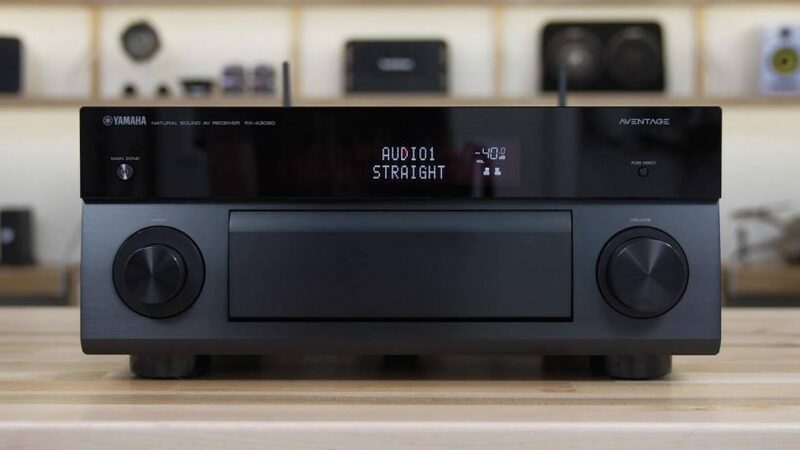 This receiver has Chromecast built-in and supports DTS Play-Fi, Fire Connect and Bluetooth, as well as internet radio with Spotify. This surround sound receiver works great for compressed, lossless and hi-resolution audio performance. The Onkyo TX-NR575 supports Powered Zone 2 and Zone 2 lineouts that allow you to send amplified network or analog audio sources to a pair of speakers in another room. The line outputs can connect your home theater network and analog audio sources to a separate Hi-Fi system. The playback can be easily controlled using the Onkyo controller. 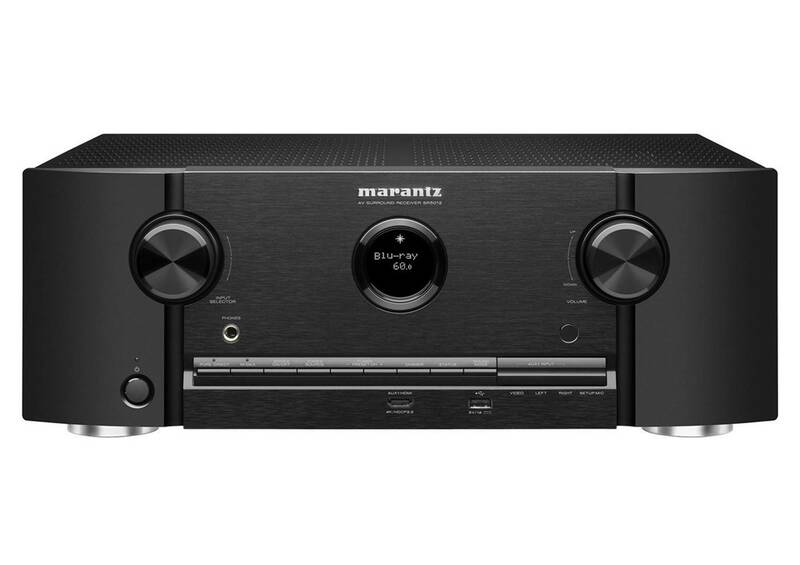 The Marantz SR5012 is a powerful surround sound receiver built for high-end audio and home theater. It is a 7.2 channel full 4K ultra-HD AV surround receiver with HEOS Black and HDMI inputs. It comes with a 4K/60 Hz full-rate pass through with 4:4:4 color resolution, HDR, BT.2020 and Dolby Vision which is the latest in HDMI standards. The Marantz surround sound receiver features Dolby Atmos and DTS:X which allows you to enjoy 3D surround sound with movie soundtracks with your home theater speakers. The SR5012 receiver is made from high grade audio components and Marantz Hyper Dynamic Amplifier Modules which delivers Marantz Hi-Fi and home theater sound. The amplifier section is rated at 100 watts per channel (8 ohms, 20 Hz to 20 kHz) which is enough to fill large rooms. The SR5012 features an advanced video section which is fully compatible with HDMI and HDCP 2.2 specifications on all of its 8 HDMI inputs. We liked the 7.2 channel section which makes this receiver ideal for custom installations. It also has built-in HEOS technology which allows the receiver to become part of the HEOS wireless multi-room music network that enables you to enjoy your favorite music anywhere in your home. Furthermore, the SR5012 surround sound receiver also features Bluetooth and Airplay compatibility to stream music directly from any compatible device. Overall, the SR5012 is an excellent surround sound receiver for home theater and delivers crystal clear surround sound with plenty of volume and power output per channel for your speakers.